I have two 45’s lying in front of me while I type this. They were made by Chris Butler in 1995. I just read his site, Future Fossil Music, and since you can read that yourself, I will write something else. Chris Butler is fascinated by the Time travel aspects of sound recording, just like me. I once had a vision in which I saw that all data reproduction technology is in essence a primitive method to travel back in time. Or in other words: a primitive time machine. 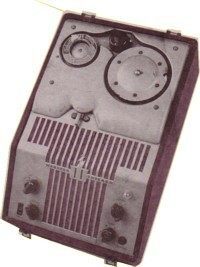 When you play back a recording or look at a photograph, you re-live the past. The idea that humanity is building a Time machine without realising it, may seem ridiculous if this is the first time you hear it. But just think of the present digital techniques to record and reproduce data. And we all know that this is just the beginning: nobody has any idea where it will end, but one thing seems clear (at least to me): humans are obsessed with recording and reproducing data and we will not stop until we can record and reproduce everything in a way that the playback will be experienced as the real thing. Well, to my mind that is a definition of a Time machine. 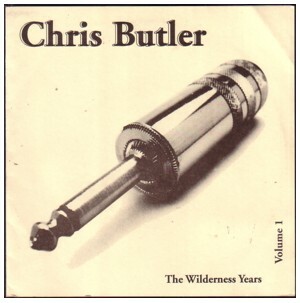 On the 45’s ( The Wilderness Years ) Chris Butler has recorded his own songs with a 1998 Edison “Spring motor” phonograph (volume 1) and a 1946 wire recorder. This are the kind of projects that make me very happy. And it will make Chris Butler a pioneer in the history of the pioneers of Time travel, as soon as the rest of the world wakes up to the concept and write this history. The amazing sound quality does raise some doubt in me about the truth of the story. I mean, is this all fake? I doesn’t seem likely, when I read Chris’ site. 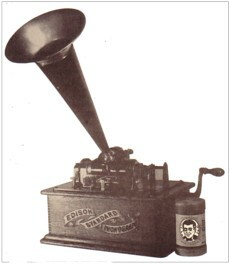 But if this song is really recorded on a Edison phonograph, how come all the other recordings sound so bad? 100% actually recorded on Edison wax cylinders and a Webster-Chicago wire machine. Thanks for the reaction, Chris. Other people already told me that my doubts were wrong! Great project!